See the historic sights of the Old West infused city of Calgary. 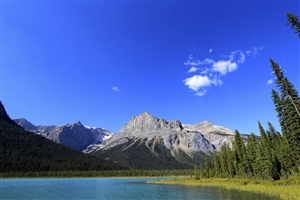 Admire the natural beauty that adorns the landscape leading into Banff National Park. Journey through mountain passes to experience the rugged town of Kamloops. 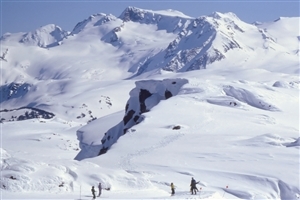 Spend an evening in the mountainous ski resort of Whistler. 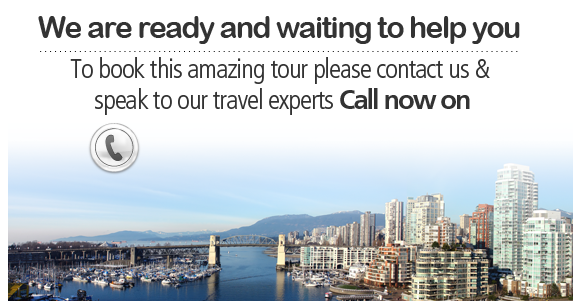 Discover the highlights and landmarks of the thriving city of Vancouver. Arrive in Calgary and transfer to your downtown hotel. After checking in you’re free to explore the lively highlights of “The Stampede City” at your leisure. 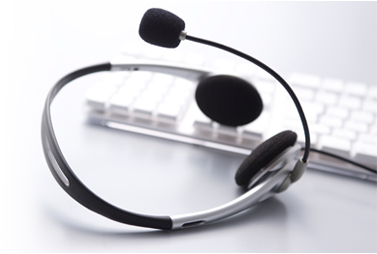 Your tour director will contact you late afternoon to go through the tour plan with you. Set out in the morning to meet fellow travellers at breakfast before touring the wonders of Calgary. Marvel at such modern and historic landmarks as the Calgary Tower, Fort Calgary and the skyscrapers dotted around the commercial district. Continue on after Calgary on to the Rocky Mountains, which can already be seen, far off on the horizon. 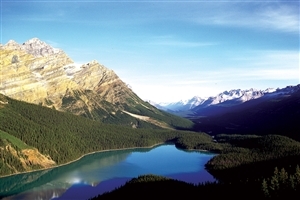 Experience the magnificence of the mountains as you first travel through the foothills and then enter Banff National Park. 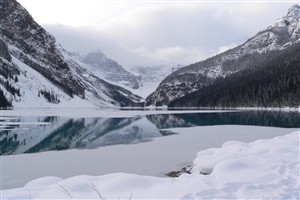 Take a tour of the region around Banff amidst snowy peaks, glistening glaciers and emerald green lakes as well as landmarks such as Banff Springs Hotel, Bow falls and Tunnel Mountain. Day 3: Canmore/Banff Tour Banff today at your leisure, perusing through the boutiques and shops along Banff Avenue. Day 4: Canmore - Kamloops Journey today along the famous Trans-Canada Highway as you continue your tour of the Canadian parks system as we cross the jagged Kicking Horse Pass into British Columbia's Yoho National Park. Witness the stunning display of icefield expanse, dense forests, cavernous gorges and glacier-fed streams en route to the glacier National Park. Proceed on through the Monashee and Selkirk mountain ranges to the rugged interior town of Kamloops. Drive on through the ranch lands and see as the landscape shifts as you enter the coastal mountains into Whistler where you can enjoy the remainder of your day at leisure. Head south along the Sea-to-Sky Highway, lined and peppered with a striking landscape made of jagged fjords and snow-capped mountain peaks. From the rural countryside to the lively metropolis of Vancouver, once in the city you can embark on a city sightseeing tour. Highlights include Stanley Park, Prospect Point, English Bay, bustling Chinatown, historic Gastown, to name but a few. The afternoon is free to discover more of the landmarks hidden throughout the streets of this coastal city. Enjoy your day at leisure in the city of Vancouver, with the beauty of the Coast Mountains and Pacific Ocean serving as the perfect backdrop to your day. Peruse the market stalls of Granville Island, wander the pathways of Stanley Park, or relax atop the logs that lay on the beach of English Bay. If you prefer to explore the outdoors, take a gondola ride to the peak of Grouse Mountain. Indulge in some last minute shopping before departing to Vancouver airport for your return flight home.